Share your heart of kindness with the other likeminded people. 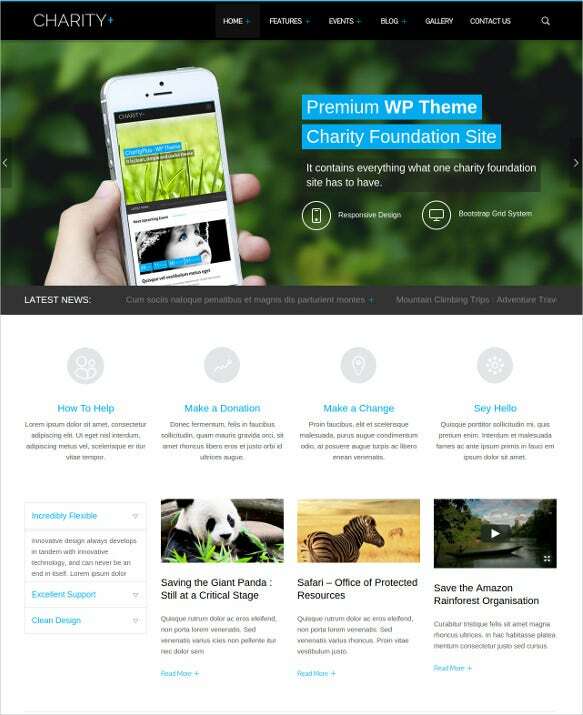 Try the Charity Blog Themes & Templates which helps to develop exclusive website for charitable NGO organisations, online charity projects, crowd fut codes, filters, clear headers and footers, SEO optimised smart content, cross browser compatibility etc.You can also see Charity Drupal Themes. The social media sharing buttons are also available which makes them friendly for the mobile devices. These templates can also be used for creating personal blogs who want to create their online portfolio on religious and pious thoughts. You can also see Best Free News Blog Themes. 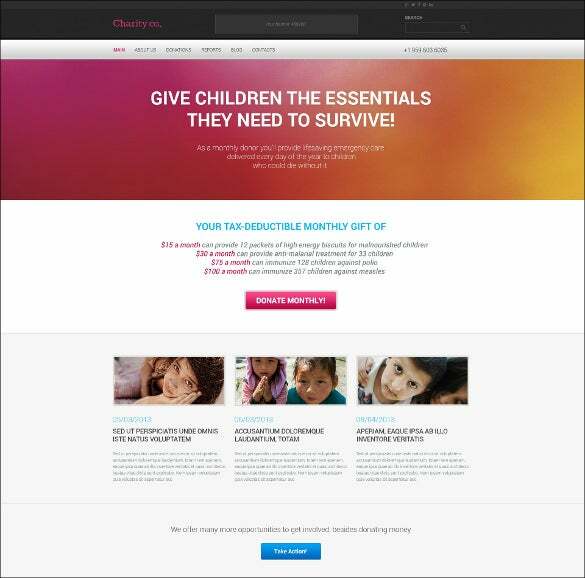 Creating websites for charitable NGO organisations, fundraising organisations, and charitable online projects is no more a brainstorming issue if you try Donation Box Website Theme for Charity Blog. With fully responsive layout, SEO optimised content, crowd fut. codes, significantly clear headers, cross browser compatibility, social media sharing buttons, extensive documentation options- these templates are a perfect idea for website designing. For all charitable organisations, NGOs etc. 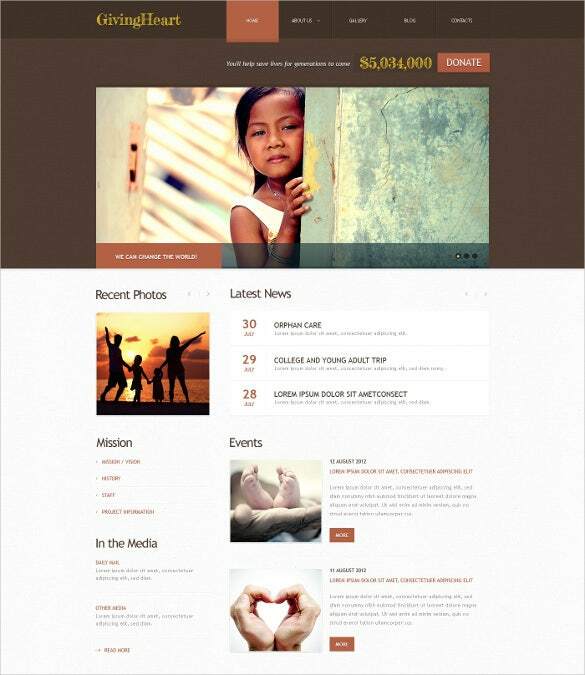 the Simple Charity Blog WordPress Theme is a reliable theme. It has clean and modern design with HTML5 and CSS3 coded design. The fully responsive layout makes it perfect for customising the colour and the fonts as and when required. Other features include SEO optimised content, cross-browser compatibility, layered PSD files, HTML short codes and much more. 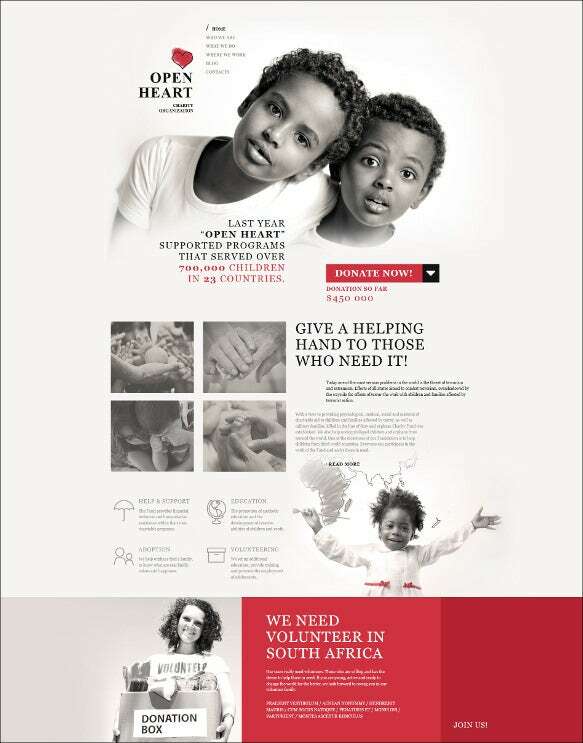 For those who have a heart of kindness, Children Charity Blog WordPress Template can help you reach them for any donation or charity. 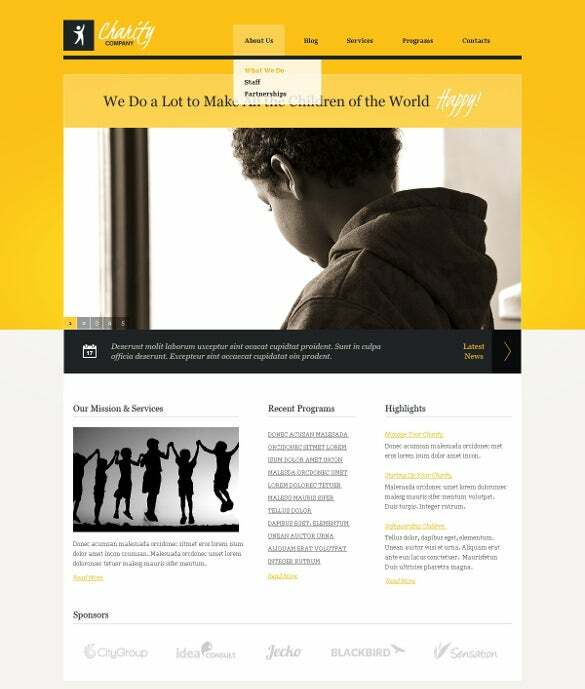 These templates can help you create an elegantly attractive website with easy gateways for donation. The social media integrated options, SEO friendly features, fully responsive website, cross browser compatibility, CSS and PHP coding makes it perfect for the website designing. For creating a minimalist yet elegant website for religious and pious organisations, NGOs, fundraising projects, Premium Charity WordPress Blog Theme is a trusted name. SEO optimised smart content, crowd fut. codes, Cool CSS3 effects, clear headers and footers, Parallax Slider, cross browser compatibility, are some of the major features that make these templates loved by designers all over the world. 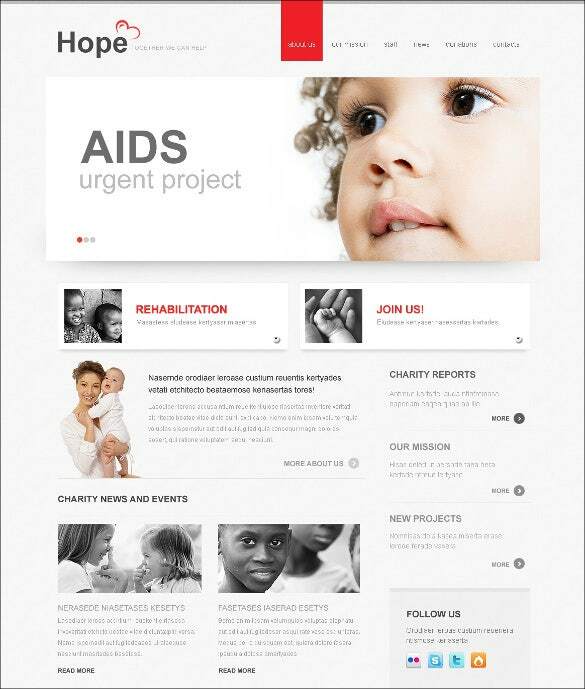 A clean and modern website on charitable organisations, especially the ones that spread awareness about AIDS, can be created very easily with Charity Blog Joomla Template For AIDS. Well oriented HTML5 and CSS3 W3C coding makes it perfect for all sorts of customisation in colours, fonts etc. Cool CSS3 effects, smooth scroll, parallax slider, SEO friendly smart content, extensive documentation makes it a favourite for any discerning designer. 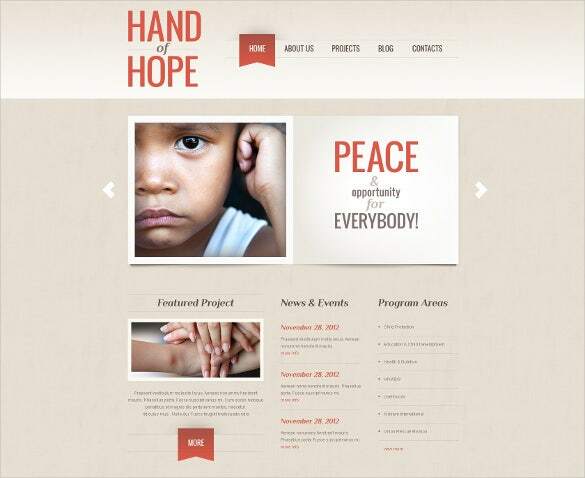 Planning to develop a clean and elegant website with HTML5 Charity Blog Website Template? 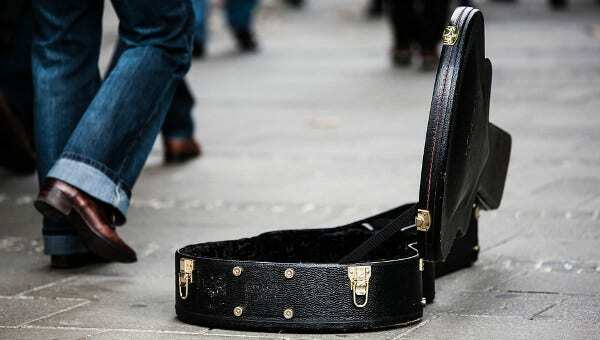 It is well equipped with Bootstrap Latest 3.1.1, Parallax Effect, Owl Carousel, Isotope, Lincolns Font, Google Map, SEO optimised content, plenty of short codes, HTML coding. It can be safely used for designing charitable NGO organisations or online charity projects. 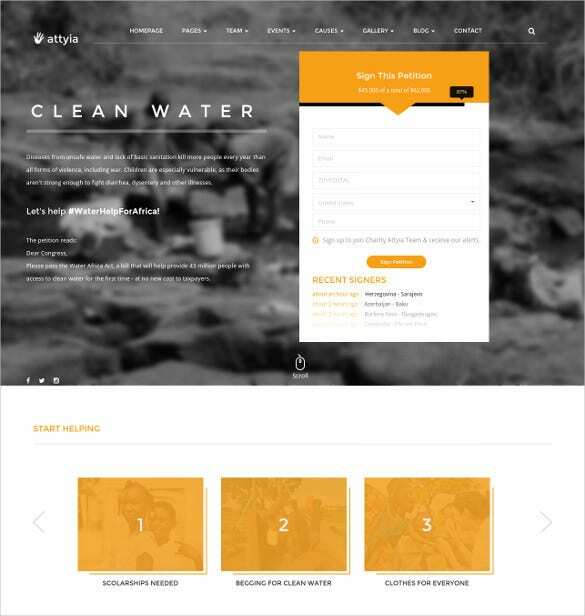 To develop charity organization related websites, the Creative NGO & Charity HTML5 Blog Template is no less than a professional choice. the simple admin tools with easy management setup makes it ideal for creating websites related to non-profit organisations, fundraising projects, online charity projects etc. HTML5 and CSS3 design, SEO optimised content, Layered PSD files, retina ready images are other features. 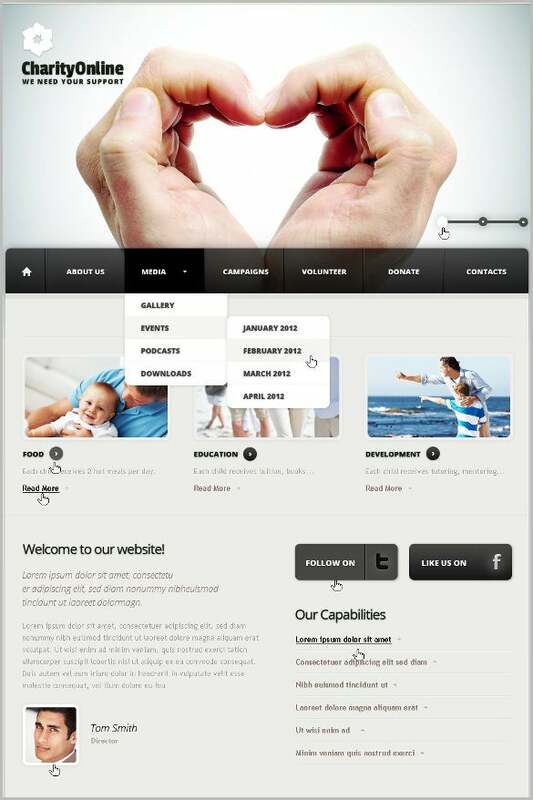 For creating a modern elegant NGO and Charity Website, the Nature Charity HTML Template is a great option. it is equipped with features like revolution slider, cross browser compatibility, HTML5 & CSS3 coding, clean coding, detailed documentation, layered PSDs, event calendar, free cards, charity products, social media integrated buttons, SEO optimised content etc. With Parallax Slider, W3C Validation, CSS3 effect, Bootstrap Latest 3.1.1, Owl Carousel, HTML5 and CSS3, SEO optimised content, social media integration, multiple colour and font schemes – Premium Foundation Charity WordPress Blog Theme is one of the brilliant templates to create websites pertaining to the fundraising organisation, NGOs, political organisations etc. 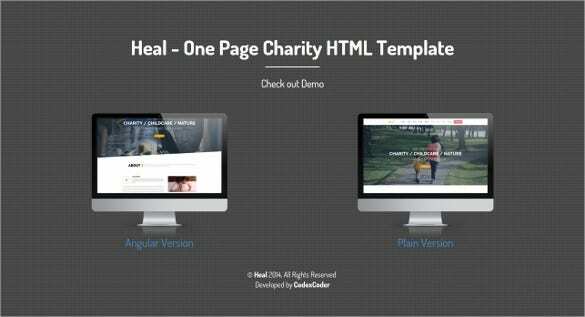 A great choice for your charity organisations, non-profit institutions, and fund raising websites – Charity Blog For Saving People HTML Template can make your website presence count among the crowd. Manage advertising banners with responsive layout, slit sliders, plenty of short codes, HTML5 and CSS3 coding, Owl Carousel, Parallax Effect, SEO optimised content etc.